Japanese single malts are ready for take-off again. Prices for collectable Macallans continue to rise after a short setback and our Rosebank index reached a new all-time peak. Here is an update on what you might have missed during the last months! Due to us being busy setting up the new database it has been a long time since we rechecked on the state of the secondary whisky market. This is why this monthly update is in fact a recap of what has been going on during the summer of 2018. Our last monthly price update dates back to March 2018. Back then the Macallan Price Rally dominated the scene but the 100 most traded Macallans actually lost value for the first time in almost a year. In the mean time we rebuilt our database completely and we now also collect price observations from WhiskyAuctioneer.com. From April 2018 to August 2018 we observed no less than 39.428 trades of scotch or japanese single malt whiskies! These prices belong to 12.339 different whiskies in our database. The most traded distilleries were of course Macallan and Ardbeg with 4.513 and 2.344 trades respectively. On the places follow Highland Park (2.048) and Springbank (1.782). The single most traded whisky was the Yamazaki 18yo. Since March we observed 245 trades of this whisky alone (in total more than 1.200!). Prices climbed from less than 100 EUR to now 550 Euros. The second most traded whisky over the last couple of months is the Bowmore Sherry Cask (Feis Ile 2018). In only three months (June, July and August) this whisky was traded 208 times! One of the more pricier whiskies traded in Summer 2018 is the Bowmore (18yo) 1966 from Samaroli. In November 2015 this bottle was traded for around 10.000 Euros. In June 2018 no less than 64.600 EUR have been paid! Also not particularly a bargain is unsurprisingly the 50yo Black Bowmore. Prices for one of the 159 bottles climbed from 26.000 EUR in June 2017 to 44.000 EUR! So there are many price observations which wait to be analyzed. 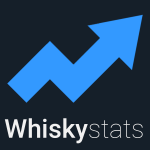 To get a good summary we use our Whiskystats Whisky Index (WWI). Each month the return of the WWI is given by the change in value of the 500 most traded single malts. Hence it describes the overall movements of the secondary whisky market. For more details of how our indices work see The Whiskystats Indices. We see that from February to April 2018 the WWI lost almost 7%. However, in the following three months it gained 11,2% again and reached a new all-time peak of 205,36 index points in August 2018. Of course we wonder where this dip in spring 2018 came from. For this we use our region and distillery indices further below. We first take a look at the six Scottish single malt regions we track. For each region it´s index is driven by the 100 most traded whiskies at the respective point in time. So these indices give us a better understanding of where the prices of a single region´s whiskies are heading. Of course Speyside and Islay lead these region indices. Most interestingly both Speyside and Islay indices experienced a significant dip in spring 2018. Partly the same is true for the Highlands and the Islands. So it seems like the effect described by our WWI index was in fact affecting large parts of the market and not just some particular segments. And then there is our region index for Japan. The japanese whisky boom launched the Japan index into spheres far beyond it´s scottish counterparts. From mid 2015 to late 2017 it bounced around a pretty constant level of 400 index points. What really strikes us is that apparently during the spring and summer months of 2018 prices for japanese single malts started to rise significantly again. From March to August 2018 our Japan index gained more than 28,4%! So where does this come from? To dig deeper we now turn our attention to the different distilleries. For this we first consult our monthly updated distillery ranking. There we list those distilleries for which we have enough information to calculate an index and order them by their latest index value. Below we display the top five distilleries in our ranking by August 2018. First of all we see that Karuizawa took back the top spot from Macallan. Our Macallan index lost ground from February through April 2018 which even helped Rosebank to overtake it. The most traded Rosebanks made their index climb by 27% from March to August. Further down Hanyu and Yamazaki overtook Brora and Bowmore to now take the places four and five in our ranking. The Yamazaki index climbed from 222 to 292 index points within nine months. So the Japan index from above was likewise driven by Karuizawa, Hanyu and Yamazaki. Looks like there happened quite a lot during the last couple of months. So more than ever do not forget to recheck on the value of your personal collection. The Black Bowmore Final Edition is bouncing around impacting our Bowmore and Fab50 indices. The overall market seems to stabilize after its mid 2018 hickup. Here is our price update for September 2018! This topic contains 0 replies, has 1 voice, and was last updated by Whiskystats 6 months, 2 weeks ago.